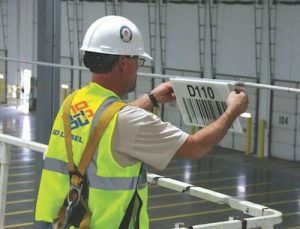 CEO Interview: What’s Ahead for Warehouse Barcoding and Labeling | ID Label Inc. 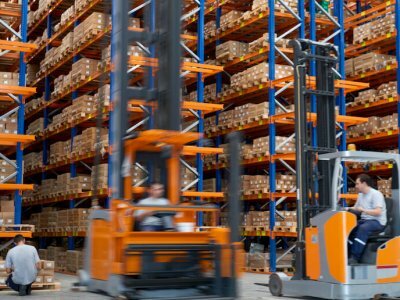 The pace of change in the warehousing and distribution arena seems to accelerate daily. At ID Label, our clients continue to seek new label and signage solutions to help them address dynamic needs for improvements in inventory management, product throughput and operational efficiency. We spoke with ID Label CEO and President Neil Johnston for his views on key trends he sees occurring in today’s market, based on the company’s work with thousands of leading companies in manufacturing, warehousing and distribution. Q: What are some of the key trends you’re seeing that are impacting barcoding and labeling today? NJ: You can’t understate the impact of e-commerce on the warehousing space. There’s been a huge increase in SKUs and inventory volumes in these facilities. 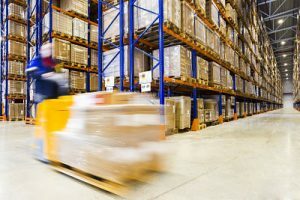 Yesterday’s processes for managing inventory and throughput are under pressure as warehouse managers try to keep pace with rising expectations for rapid order fulfillment. It can be a real challenge if your systems and processes aren’t up to par. Today’s modern warehouses are smart, automated and efficient, often employing sophisticated warehouse management software. Barcoding technology, labels and signage are a key part of making all that work. Each facility is different, so your barcoding solutions need to match your environment and objectives. 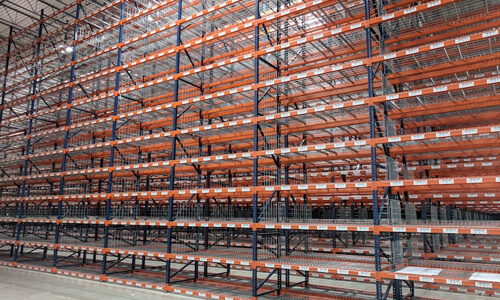 Beam Renew™ is ID Label Inc.’s popular warehouse rack cover-up solution. Its durable construction and advanced adhesives allow for seamless application over old warehouse beams and barcode labels without the time and expense of cleaning, scraping or painting. Q: Among ID Label clients, what trends have you observed recently? NJ: A few things stand out. First, there’s definitely a growing need for flexibility in labeling rack storage locations. This stems, in part, from what I was just describing. Warehouse operators want more leeway to slot their products in a way that maximizes use of space and improves picking efficiencies whenever they can. 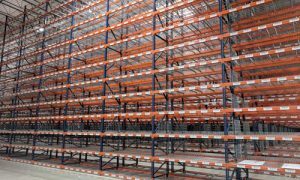 That can mean a greater need to relabel pallet locations with more frequency than was typically done in the past due to changes in product demand, higher return volumes or seasonal requirements, for instance. Scraping off old barcode labels and preparing beams for relabeling can be tedious and hugely unproductive. Our customers are asking us for labeling solutions to accommodate this need for location flexibility. Beam Renew™, our rack cover-up solution, and Clean Release™, our new repositionable label, are two products we designed to address this. They’ve been incredibly well received. Q: What’s another trend that your customers are dealing with? 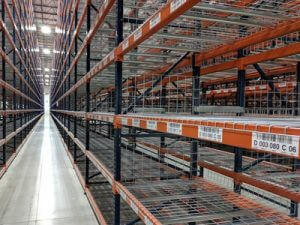 NJ: Just the sheer number of new warehouses and DCs being built to keep pace. E-commerce operators require up to three times more space than traditional warehouse users. That’s because of the greater diversity in products they handle and the need to have them immediately accessible. Among these clients, we’re seeing high demand for turnkey installation services where we provide complete project management. We partner with a direct customer or channel partner early to plan the project and make sure the go-live date is met. 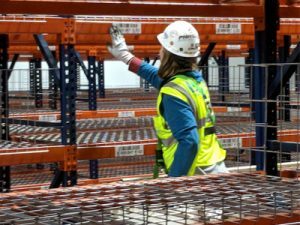 We review the facility layout and verify that locations for overhead signage, aisle markers, safety signs and bulk storage areas are appropriate. We review and prepare the data file for all the labels and signs in a way that’s most efficient for our installation team. And we recommend, design and manufacture custom labels using materials and adhesives that best match the environment, temperature and surfaces of your facility. It’s a full-service solution – and our customers love it. It’s one less headache to worry about on these large, complex projects. We like to say: when we do the barcodes, you can do more! Q: Do you see new DC construction or expansion slowing down? NJ: Not any time soon. 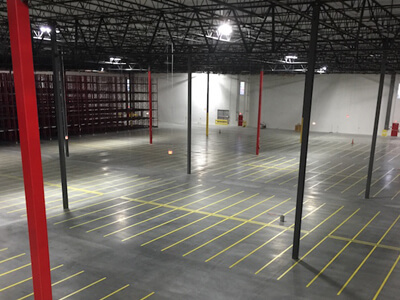 All industry reports indicate that demand for warehouse space remains near all-time highs. In fact, in some markets the availability of appropriate land is becoming scarce. Q: For companies planning new construction in the next year, what advice would you offer? NJ: These are huge, complex projects with a lot of moving parts. Be careful not to treat barcode location labels and signs as an afterthought. Poor preparation can lead to errors, rush production charges or unseen delays in meeting important milestones and dates. As I noted earlier, include ID Label on your project team up front. We’ll manage all the aspects of label and sign preparation and installation. This allows you to focus on other critical project components. 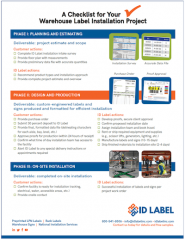 We’ve got a convenient checklist that details all the preparation steps required for a successful warehouse label installation. It’s worth a read. Q: Finally, can you comment on some of the barcode product trends you recommend warehouse operators explore? Digital technology is driving significant advances in label manufacturing. NJ: There are several worth noting. Digital technology is driving significant advances in label manufacturing. 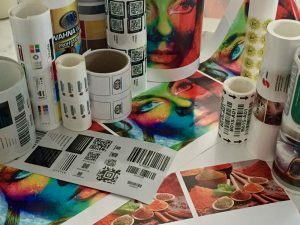 We’ve made a strategic choice to invest in state-of-the-art inkjet presses that allow us to manufacture the highest quality, most advanced barcode labels available. These systems – the first of their kind in the U.S. – feature fully integrated UV LED curing, laminating and die-cutting. We can custom manufacture high-quality, multicolor, extremely durable, sequentially numbered, finished barcode labels in a single pass. ID Label operates an advanced technology footprint — via two state-of-the-art manufacturing facilities in Illinois and Washington — that allows the company to produce the highest quality, most advanced barcode labels available. One of the reasons we invested in this technology is because we saw a rise in usage of multicolor labels. 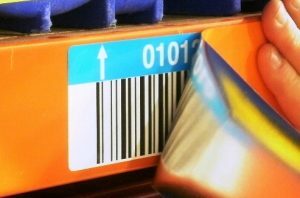 Colored barcode labels can be used with tiered racking systems to improve processes for slotting, picking and overall inventory management. That same color coding can be employed consistently across a network of DCs. This can be helpful in cross-training warehouse workers or rolling out new inventory management software. Q: Anything else on the product front? One last thing I’ll note: we’re seeing some significant advances in label materials. Today, with the adhesives we use, we can custom-design a label like Clean Release to be permanent, temporary, removable, repositionable. We’ve got solutions optimized for ambient temperatures and freezer environments. For exposure to extreme heat during manufacturing. For outdoor conditions with extended exposure to the sun’s ultraviolet rays. For warehouse floors that are subjected to heavy traffic from forklifts, carts and workers. There’s no one-size-fits-all solution. That’s why we make sure we understand the environment in which the label will be used and the surface the label needs to adhere to before we recommend an appropriate solution.